Capture the stars with this fun game. Play in a dark room and watch the ceiling magically brighten up with stars. Use your wand to capture as many flashing stars as you can. The magic magic wand shines with new colors, the more stars you capture and has 3 different levels. 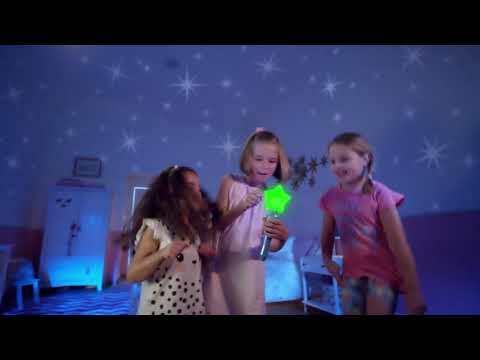 Catching Stars can also be used as night light with shining stars and music. 3xAA batteries for the moon.